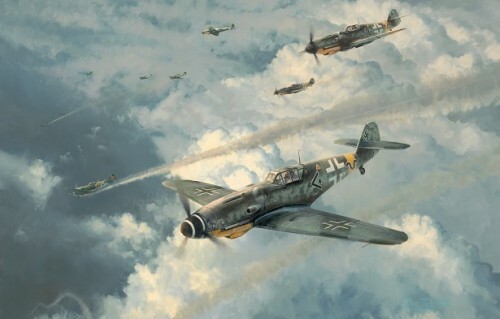 On the morning of 15 October 1943, as Bf109G’s from III./JG52 dive into attack a group of Russian fighters high over Zaporozhye in south-east Ukraine, their Kommandeur Hauptmann Günther Rall pounces on a Soviet La-5 to claim his 222nd victory. During this astonishing one month period he shot down 40 aircraft and at the end of November 1943 acheived 250 victories – at the time only the second Ace to do so after Walter Nowotny. 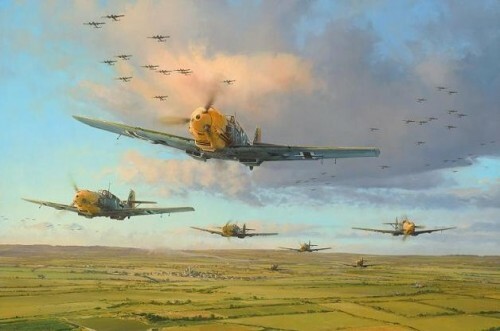 By the time he was posted back to the West, Rall was well on the way to his final score of 275 victories, making him the third highest- scoring Ace in history. 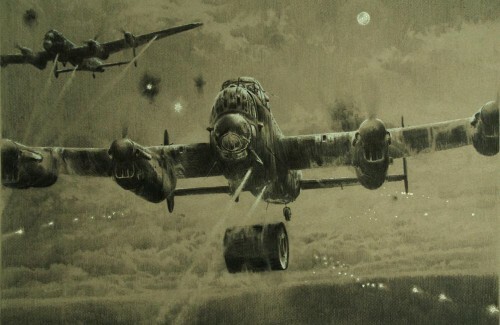 Had he not been wounded in action numerous times and forced to spend months in hospital, he might well have been the highest-scoring Ace of them all. 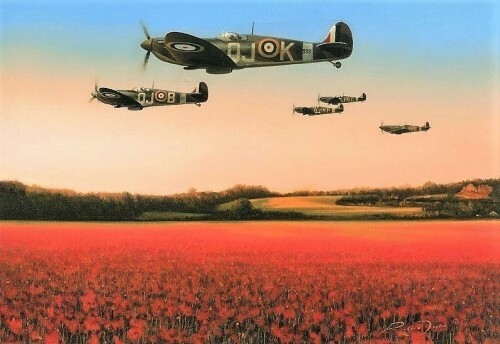 Robert Taylor’s remarkable painting is published as a lasting tribute to one of the most legendary figures in Aviation history. 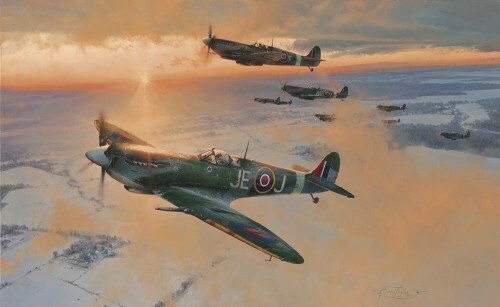 It is of great historical significance that Günther Rall who, through his outstanding skill, decency and leadership, gained huge respect from his comrades and former foes alike, has autographed every print, creating an exceptional collectors piece.